As we’ve talked about in previous posts, spring is all about multi-sport days. From contests like the Pole, Pedal, Paddle to mountain biking and skiing, it’s about fun in the sun. Adventure is to be had! One of the adventures we’ve never really delved into is waterfalls. There’s something about the thundering roar of water down a sheer face that relaxes you while at the same time heightens your senses. Here’s our bucket list of the best waterfalls in North America that we want to experience in person. We’re diehard skiers and snowboarders, so the idea of getting in some runs AND seeing a waterfall would be the best day for us. Start the morning out on the slopes at Mammoth Mountain, and once the snow starts getting a bit sticky, take a short 40 minute drive over to Lundy Canyon. Technically not a waterfall itself, this region is filled with quite possibly the highest number of waterfalls all in one place. Besides a lot of waterfall “action”, you’ll be exposed to reflective ponds and an array of blooming wildflowers of all different colors. 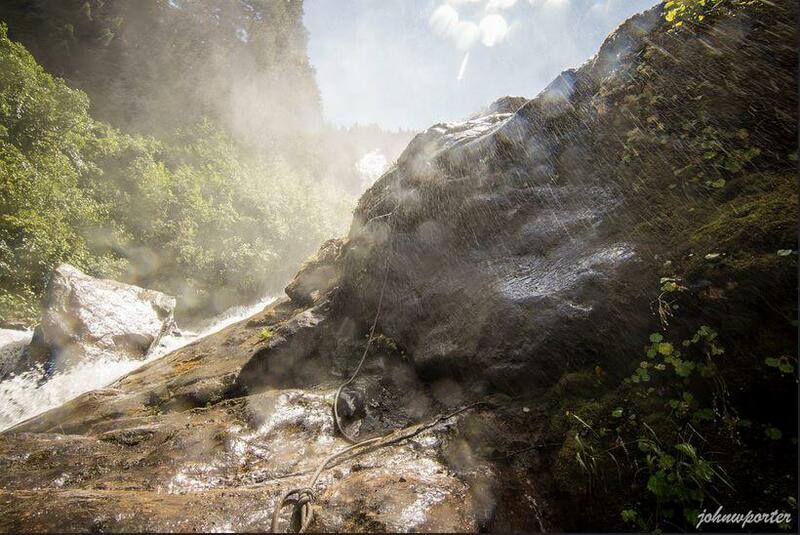 Overall, this might be the most compelling waterfalling experience you can have anywhere and well worth the travel. 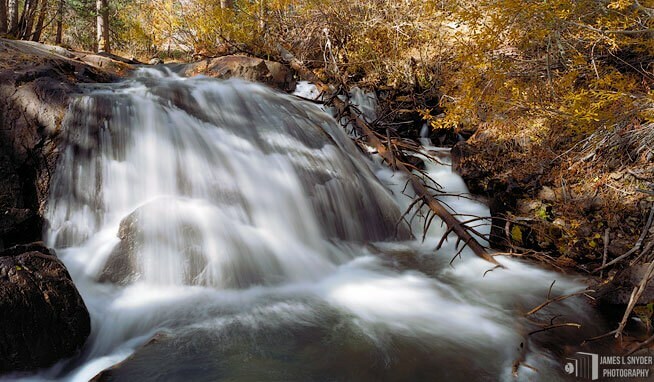 Stewart Falls rates annually as one of the most popular hikes in Utah. 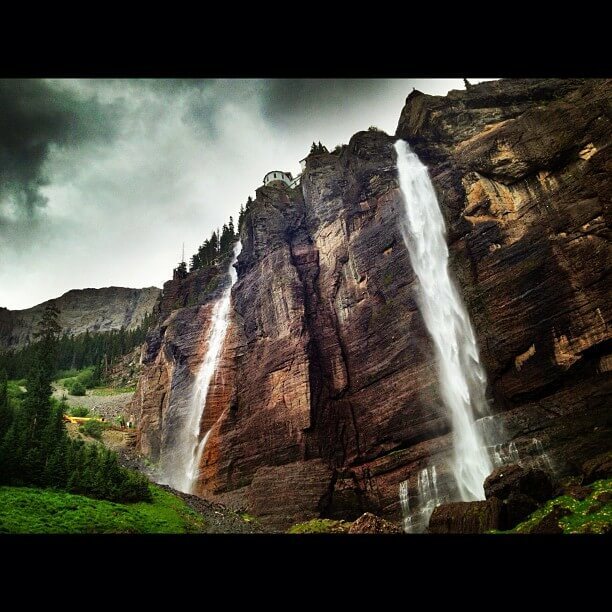 Off the back side of Mt.Timpanogos, there are multiple scenic viewpoints of the two-tiered falls. 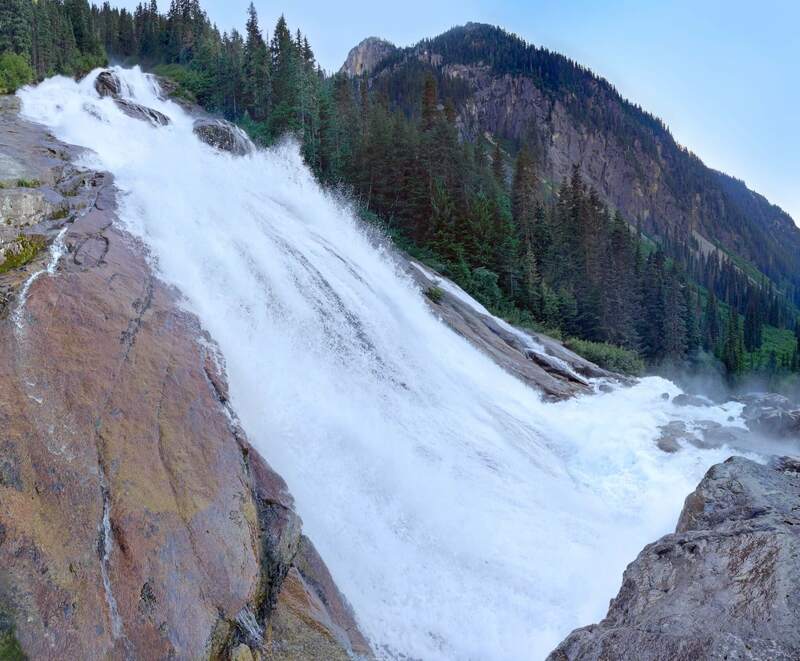 The moderate four-mile round trip hike from Sundance Resort can be enjoyed by families of all ages. 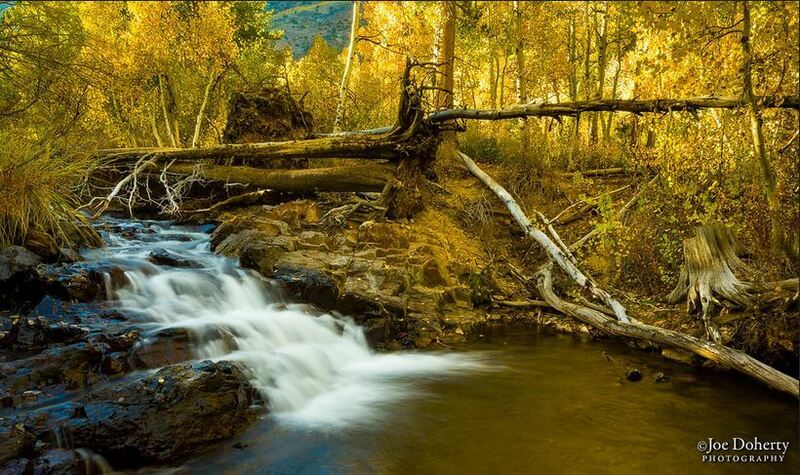 Starting in Aspen groves, the trail meanders its way onto a ridgeline giving you fantastic glimpses of the falls. You then follow a steep trail down to the base of the falls. From there, you can hop right into the waterfall spray. A perfect way to cool off on a hot summer’s day. Once there, you’ll understand why all that hard work is worth it. At many points during the drop, the creek impacts the bedrock at such high angles it sends huge rooster tails exploding into the air, accompanied by clouds of mist as the water pounds its way down the mountainside. This is an iconic town not just for skiing but also for scenery AND outdoor adventure any time of year. Home to the tallest free-falling falls in Colorado, the region is steeped in mining history and the structure perched atop the falls is a reminder of this era. Built in 1907 to supply power to the Smuggler Union mine and mill, the story goes that the original owner constructed the hydro-electric plant atop the falls so he could put a Swiss-chalet style summer home on top of it. Located at the end of the box canyon, if you hike up to the top overlooking Telluride, you’ll understand why he wanted to build his home there. These are just a handful of the countless waterfalls in North America that you can enjoy this spring. What is your favorite on the list? Are there any other ones that should be on here?